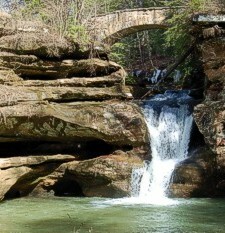 The Hocking Hills region is home to 9 state parks, over 9000 acres of state forest land, part of the Wayne National Forest, contains 4 nature preserves and one of the largest metro parks in the state. The Hocking Valley Scenic Railway is an organization dedicated to the preservation, restoration and operation of historic railroad equipment for the education and entertainment of the general public. Hiking, fishing, camping, horseback riding, canoeing, photography, and bird watching are just a few more of the activities you can enjoy in the Hocking Hills area. Click on the links below to find out more information. Robbins Crossing is a collection of original log cabins built by settlers of the Valley in the 1850s. These cabins were donated by landowners, and carefully dismantled at their original locations. 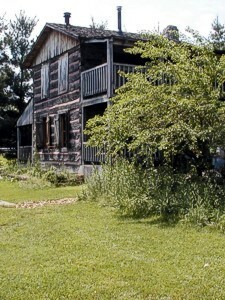 The cabins were then reassembled at Robbins Crossing to form what might have been a typical village for the settlers. 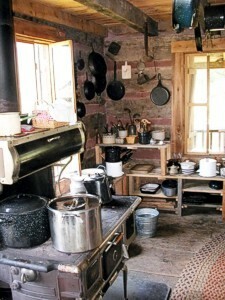 You'll see a completely furnished one-room schoolhouse, a general store, and several one-story and two-story dwellings, including a cooper shop, blacksmith shop, and pottery station. An old barn and a vegetable garden provide an additional glimpse of what life was like back when cabins where the only form of shelter in the Valley. Throughout the year the Hocking Valley Scenic Railway will provide great opportunities for family-friendly adventures for you and your family. Adventures include the Easter Bunny Train, Ohio's Friendliest Train Robbery, Fireworks Trains, Caboose Train, and Santa Trains. There's definitely something for every season and something for every person in your family. Whether it's a themed event, the history, or just a relaxing train ride, you're sure to find what you're looking for at the Hocking Valley Scenic Railway--the family-friendly scenic railway! Founded in 1972, the Hocking Valley Scenic Railway is a non-profit, volunteer-operated organization dedicated to the preservation, restoration and operation of historic railroad equipment for the education and entertainment of the general public. The route currently operates between Nelsonville and Logan was once a part of the original Hocking Valley Railway's Athens Branch. The Hocking Valley was eventually merged into the Chesapeake & Ohio Railway in 1930, with the Athens Branch slowly becoming "dead weight" to the ever-expanding C&O. Thus the HVSR purchased the current route in 1985. The Hocking Valley Scenic Railway offers diesel-powered rides through the beautiful, rolling hills of Southeastern Ohio aboard vintage equipment. The coaches used were built in 1927 for commuter service around Chicago and the primary diesel locomotive was built back in October of 1952. The coaches are heated in the winter, so a comfortable and enjoyable ride is to be had with Santa Claus during the annual Santa trains. Departure Time from Nelsonville 12 Noon & 2:30 P.M. Train returns to the Nelsonville depot at approximately 1:15 P.M. and 3:45 P.M. respectively. Train returns to the Nelsonville depot at approximately 1:45 P.M.
Departure Time from Nelsonville 2:30 P.M. Train returns to the Nelsonville depot at approximately 4:45 P.M.
All regularly-scheduled trains depart from and return to the Nelsonville Depot. Times and Rates subject to change. Please call first.